Anne Arundel County has deep roots in colonial America. The county is named for Ann Arundell, the wife of Caecilius Calvert; British colonists who settled in the new world. The county seat is Annapolis, the state capital. The population of the county is approximately 58,000 people. Estimates indicate that there is a 10% increase in population growth each decade. Parts of the Baltimore/Washington Metro area are comprised of Anne Arundel County. Maryland’s center of population is positioned between Howard County and Anne Arundel County on the county line. The area was once part of St. Mary’s County but was named in honor of Ann Arundell after her death. 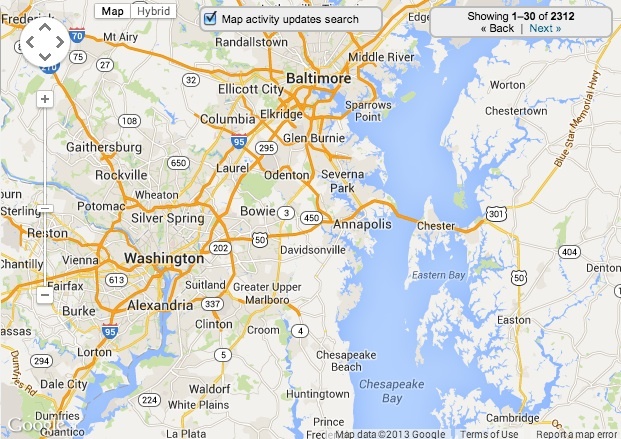 The county spends an area of 587.90 square miles and is the home of the two largest shopping malls in Maryland. Although most of the land is flat or consists of small hills, the land elevation ranges from sea level to roughly 300 feet above. There is plenty of open space since housing units are currently at an average density of 449 per square mile. Single-family homes dominate the residential real estate market in Anne Arundel County. The local home market values have stabilized somewhat since the dramatic drop 2007 - 2012. Home buyers are looking for great deals in the area. Real estate market analysts are predicting that the slight dip in the market values may not last much longer. That may be one reason why home buyers are beginning to pay more attention to the current listings.